Posted on August 24, 2017 at 11:29 am. Canberra casino is set to receive 200 poker machines as the ACT government introduced legislation to lift the ban on Thursday. The casino will also receive 60 fully-automated table games under the new reforms. The Greens made it clear that they will only support the addition of pokies in the casino if the maximum stake per spin is limited to $1 and if gamblers declare how much they will be gambling up front. While the maximum stake has yet to be determined, players will have to declare how much they will be gambling. The move to introduce poker machines into the casino has been a long time coming. The ACT is the only state which doesn’t allow pokies in a land-based casino in Australia. 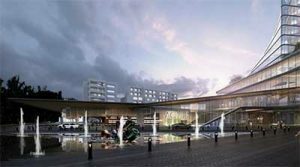 In 2015, the Aquis Group proposed a $330 million redevelopment of the Canberra Casino, featuring a six-star villa accommodation and a five-star hotel, as well as shops, bars, a night club, a day spa and extra car spaces. The plan also included 500 poker machines, which has been met with heavy criticism. But last year, the ACT government declared its support for the addition of poker machines, provided the number dropped to 200. Clubs ACT didn’t take kindly to the announcement and protested heavily against Labor during the 2016 election. When Labor won, the government cut all ties with Clubs ACT which has contributed to the financial demise of Canberra’s clubs. Some clubs have been spared as Barr now works with a new breakaway clubs group, known as the Tradies Club. Seven of the 50 ACT clubs will receive a 50 percent tax cut after the ACT Parliament passed the legislation on Tuesday. The tax cut has been introduced to help clubs generate revenue from sources other than gambling, but only seven venues qualify. Liberal gambling spokesman, Mark Parton, said the tax cut was an “enormous gift to Labor-friendly clubs” which includes the Belconnen Soccer, Magpies and Burns clubs. The tax cut will save the Belconnen Club around $320,000 a year in poker machine taxes, while the Burns Club will save up to $270,000 a year and the Magpies will save around $204,000. Clubs which earn more than $4 million a year from pokies do not qualify for the tax rebate, and small clubs continue to pay no tax. Mr Parton said the tax rebate was a reward to clubs which didn’t participate in the election campaign. “We can’t support this government handing back $5 million [over four years] in forgone revenue primarily to three clubs with no real checks and balances on how they spend the money,” he said. “It was a policy entirely based around finding a reward for those clubs who chose not to raise an opinion contrary to that of the government. The ACT government is also looking to reduce the number of poker machines at clubs. The state government announced last week that it was considering a plan to reduce poker machine numbers from 4985 to 4000 by July 2020. The plan requires clubs to hand back one in five machines over three years. On Tuesday, the ACT government passed legislation to reduce the EFTPOS machine cash-out limit to $200 at clubs, effective as of September 1. The move came about after former problem gambler, Laurie Brown, revealed she was circumventing the ATM limits via the cash-out option to fuel her addiction. But Mrs Brown believes the new limit is ineffective. “I have spoken with other problem gamblers, and some have said that if they went to get cash out from the EFTPOS under a $200 transaction limit, they would just ask the staff to do repeat withdrawals until they got the amount of money they wanted,” she said. She added that staff would unlikely intervene if someone was making multiple withdrawals and called upon the government to monitor the outcome closely.